We’ve been harvesting a lot of bell peppers from our garden lately. I wasn’t really thinking when we planted two bell pepper plants because bell peppers are coming on faster than we can use them. One of the ways that I preserve the bell peppers is to freeze them. And later this week, I’ll be sharing a Stuffed Bell Pepper recipe. 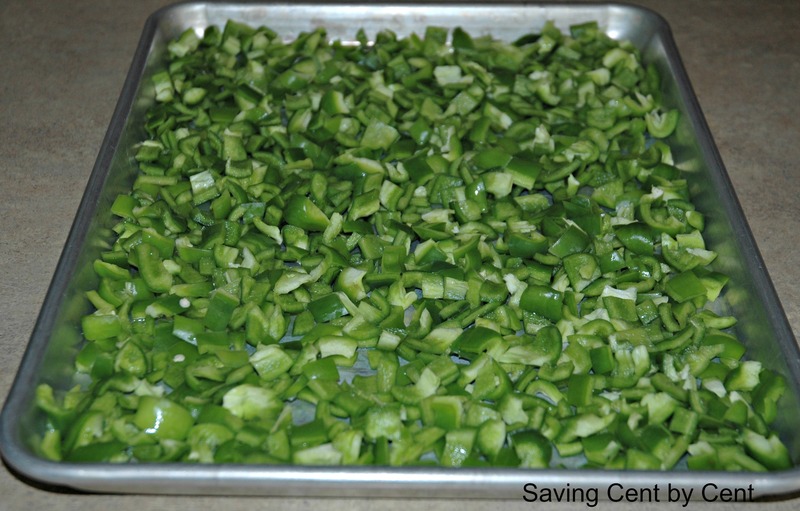 Just cut up the bell peppers and place them on a large pan. Flash freeze them by placing them in the freezer for 1-2 hours, then place them in a labeled freezer Ziploc bag. 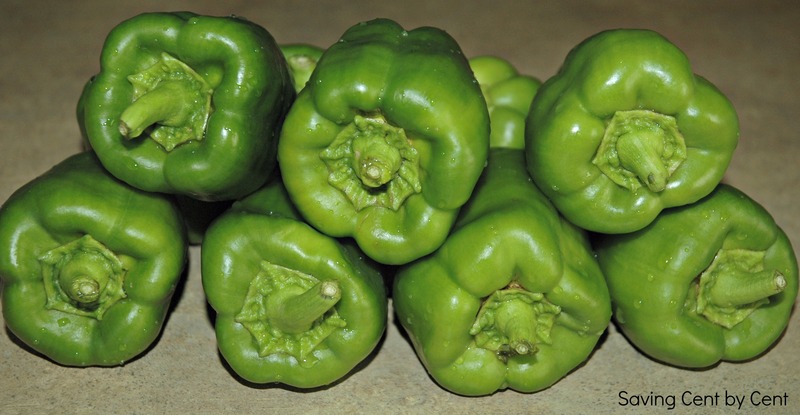 They’ll be ready to use when you need bell peppers for your recipes. It’s definitely nice to have bell peppers on hand and not have to run to the store if I need some for a recipe.